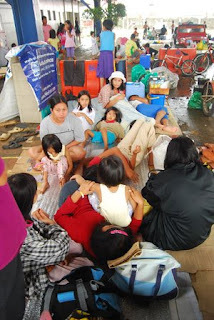 Typhoon Frank left thousands of families in Iloilo and Panay Region homeless. Accordingly, this is the worst disaster that has ever struck the region. 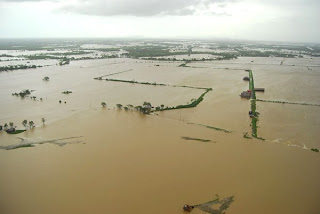 As early as Saturday morning, June 21, reports came in from different towns and barangays of flash floods leaving entire barangays submerged. Many people evacuated their homes to seek refuge in churches, schools and other makeshift evacuation centers. Still many others remain trapped in their homes and waiting for rescue. Rescue efforts have been hampered by damaged bridges and roads. As of Monday morning, recorded death toll has reached more than 100. Most parts of the region have no electricity and water. 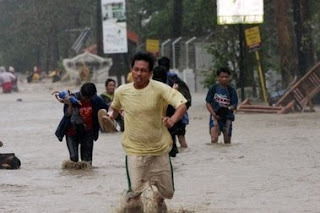 Food and water are badly needed especially in worst hit towns and barangays. c/o Fr. Manny Uy, S.J. Let us continue to pray for the countless victims of Iloilo and Panay Region. Thank you for your generosity. This is a Flickr badge showing public photos from anebrao. Make your own badge here. Copyright © 2006 er2ol. All rights reserved. Patent Pending.